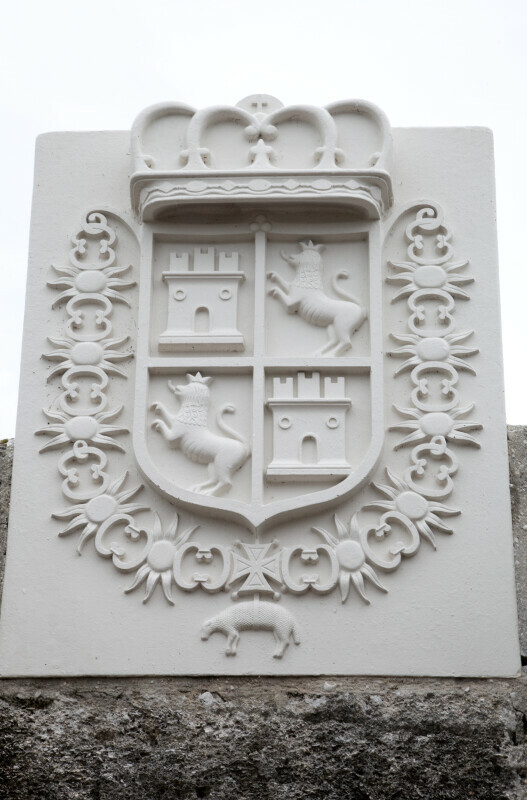 This is a recreation of the original coat of arms that was placed above the entrance to the interior of the ravelin. This is a simplified version of the coat of arms used by the Kingdoms of Castille and Leon. The fort is a National Monument, and is listed on the National Register of Historic Places. WARNING: You are about to download a 57.0 MB TIFF!